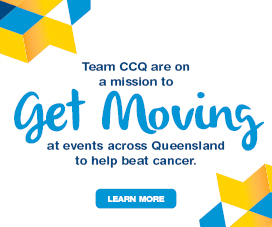 We work collaboratively with the community and all levels of government to advance cancer control by advocating for all Queenslanders, in relation to all cancers. Advocacy refers to any actions which seek to influence political or social outcomes for a just cause. In our case – cancer control – to prevent people from getting cancer, to help patients and their families, to save lives, and to stop deaths. Our work focuses on strategies designed to improve cancer control systems (legislation, policy and practices) in ways that will benefit the community. We advocate to save lives, and to make our lives better. Everyone has the right to equitable health opportunities regardless of their economic, social, cultural or geographical situation. Well designed and adequately resourced cancer control systems and structures are essential to the attainment of health equity. The majority of Queenslanders today are non-smokers and studies of community attitudes towards smoking have found increasingly high levels of public support for broadening restrictions on smoking in Queensland, with growing awareness of the harmful effects. Read our tobacco survey report for more information. Estimates suggest that about 13% of regional cancer-related deaths could be prevented if regional cancer survival rates were equal to those in major cities. Additional public investments in regionally-specific research and transnational initiatives are vital to improving healthcare for regional Queenslanders. See our Queensland Cancer Atlas for more information. 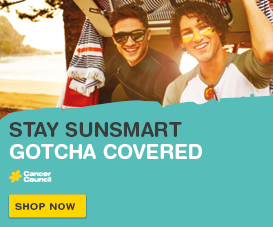 At least one-third of all cancer deaths can be prevented through the adoption of healthier lifestyle behaviours – not smoking, avoiding alcohol, exercising regularly, eating healthily, being SunSmart, and taking part in cancer screening programs. The most cost-effective long-term strategy for the control of cancer is preventive activity. Cancer remains one of the leading causes of premature death among Aboriginal and Torres Strait Islanders in Queensland. The prevalence of modifiable risk factors is also higher for Indigenous Queenslanders with lower rates of participation in cancer screening, prevention, and treatment. Continued and sustained improvement in health outcomes for Indigenous Queenslanders is achievable with continued investment. A review of Strategic Health and Medical Research in Australia recommended all governments to facilitate an increase in public funding of health and medical research to the benchmark of 4% of overall health expenditure. The review also recommended an increase in funding allocated to public health research in areas including cancer screening, obesity/overweight, skin cancer, and occupational cancers. Find out more about our Cancer Research. The outcomes of our advocacy include the introduction of world-leading laws for smoke-free spaces, including smoking bans in outdoor malls and bans on smoking in cars carrying children under 16 years of age. We also led calls for Queensland’s ban on commercial solariums, and continue to call for a ban on the sale of solariums for private use, as well as a ban on private possession and use. One of the major outcomes of our advocacy was the culmination of a decade-long advocacy campaign calling for an increase of Queensland Health’s Patient Travel Subsidy Scheme, to improve regional patient access to health services. Our advocacy resulted in a doubling of the assistance scheme on January 1, 2013, thanks to a $100M commitment from the State Government. Internationally, we work in coalition with organisations such as the Union for International Cancer Control to promote global initiatives, in affiliation with the United Nations, the World Health Organization, the International Agency for Research on Cancer, and other leading global agencies. 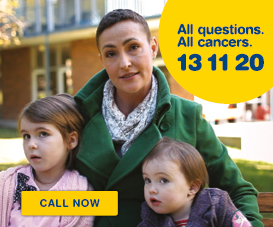 For more information about our advocacy, please email insight@cancerqld.org.au.